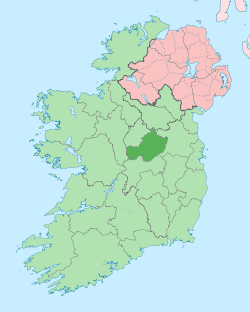 County Westmeath ( ; Irish: Contae na hIarmhí or simply An Iarmhí) is a county in Ireland. It is in the province of Leinster and is part of the Midlands Region. 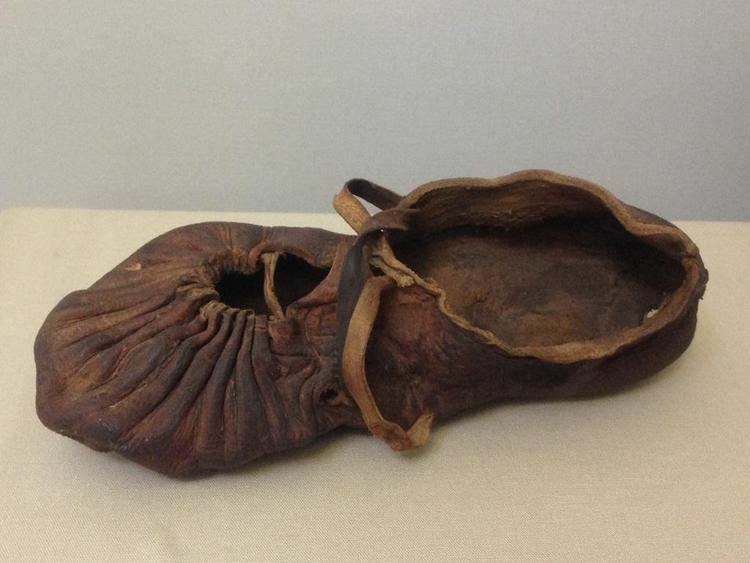 It originally formed part of the historic Kingdom of Meath (Midhe). It was named Mide because kingdom was located in middle of Ireland (the word Mide means middle). Westmeath County Council is the government for the county, the capital is Mullingar. The population of the county is 88,770. 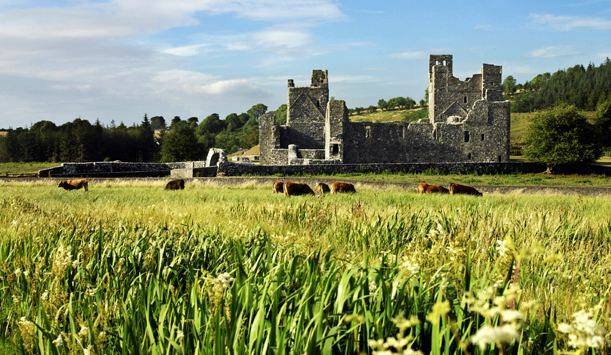 Following the Norman invasion of Ireland, the territory of the Gaelic Kingdom of Meath formed the basis for the Anglo-Norman Lordship of Meath granted by King Henry II of England to Hugh de Lacy in 1172. Following the failure of de Lacy's male heirs in 1241, the Lordship was split between two great-granddaughters. One moiety, a central eastern portion, was awarded to Maud (de Geneville) as the liberty of Trim; the other moiety, comprising north-eastern and western portions, went to Maud's sister Margery (de Verdun) and in 1297 became the royal county of Meath. The liberty and royal county were merged in 1461. While the east of the county was in the English Pale, the west was Gaelicised in the fourteenth century and outside the control of the sheriff of Meath. In 1543, during the Tudor reconquest of Ireland, the Parliament of Ireland passed an act dividing the county into two, the east still called Meath and the west called Westmeath. 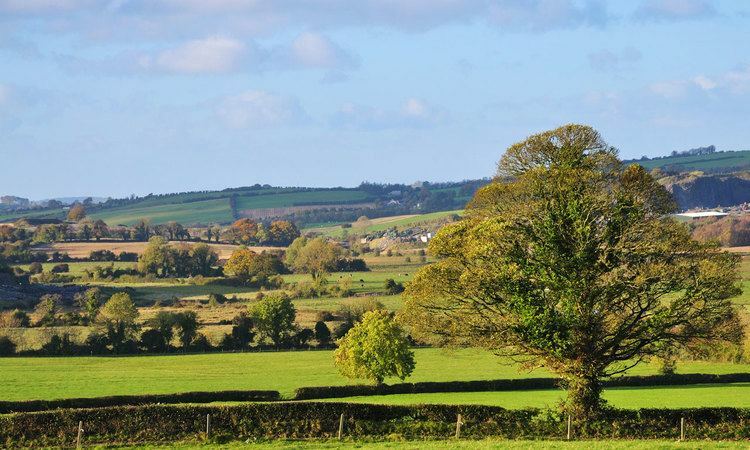 Westmeath is the 20th largest of Ireland's 32 counties by area and the 22nd largest in terms of population. It is the sixth largest of Leinster’s 12 counties in size and eighth largest in terms of population. The Hill of Uisneach in the barony of Moycashel is sometimes regarded as the notional geographical centre of Ireland although the actual geographic centre of Ireland lies in neighbouring County Roscommon. The summit of Mullaghmeen is the highest point in County Westmeath. At just 258 metres this makes it the lowest county top in Ireland. The head office of Westmeath County Council is located in Mullingar. There are currently 20 councillors. The three electoral areas of Westmeath are Athlone (7 seats), Mullingar-Coole (7 seats) and Mullingar-Kilbeggan (6 seats). The Local Government (Ireland) Act 1898, provided the framework for the establishment of County Councils throughout Ireland. The first meeting of Westmeath County Council was held on 22 April 1899. Initially, development occurred around the major market centres of Mullingar, Moate, and Kinnegad. Athlone developed due to its military significance, and its strategic location on the main Dublin–Galway route across the River Shannon. Mullingar gained considerable advantage from the development of the Royal Canal. The canal facilitated cheap transport of produce to Dublin, Britain and Europe. Athlone and Mullingar expanded further with the coming of the Midland Great Western Railway network in the nineteenth century. Tourism in Westmeath is generally based on its many water amenities. The county lakes include Lough Derravaragh, Lough Ennell, Lough Owel, Lough Lene, Lough Sheelin and Lough Ree. Both the Grand Canal, and the Royal Canal flow through Westmeath, and the River Shannon (Ireland's key tourism waterway) has a modern inland harbour in Athlone. Two major "Greenway" projects are intended to improve cycling facilities. The Athone - Mullingar section of the Dublin – Galway Greenway that travels along the old railway corridor between Athlone and Mullingar was constructed in 2015. The Royal Canal Greenway takes tourists from the county boundary to Mullingar, and then on towards Longford. Those wishing to use the Dublin-Galway Greenway will be able to transfer from the Royal Canal route to the old rail corridor on towards Athlone. The development of industry in Westmeath was mainly based on food processing and consumer products. Whiskey is distilled in Kilbeggan and tobacco is processed in Mullingar. The county has an extensive beef and dairy trade. In recent times, the manufacturer Alkermes has located in Athlone. The eastern part of the county is home to commuters many of whom work at the technology parks on the western side of Dublin. Mullingar is renowned for the high quality of its beef and veal. Weaned cattle from the west of the Shannon are fattened for market on the lush grasslands of Meath and Westmeath. The cattle are also used to maintain grassland to help sustain wildlife in the areas fringing the Bog of Allen. Westmeath is home to many stud farms. The plains of Westmeath, covered in calcium-rich marl, contribute significantly to calcification of foal bones during their formative years. Westmeath mares are usually put into foal in spring to facilitate summer growth. Pregnancy lasts for approximately 335–340 days and usually results in one foal. Horses mature when they are around four years old. Westmeath also has railway infrastructure with a number of trains passing through towns in the county. The Dublin–Westport/Galway railway line runs though the county, with services from Dublin Heuston to Galway/Westport/Ballina inter-city train service stops at Athlone, while the Dublin-Sligo railway line service stops at Mullingar. The line from Athlone via Moate railway station to Mullingar could be reopened for trains from Galway to Dublin Connolly. Other major infrastructural projects and plans for the county include Transport 21. Westmeath is an active sporting county. Westmeath GAA senior football team won the Leinster Senior Football Championship, the Delaney Cup, in 2004. They also won the National football league competition Division 2 in 2001, 2003 and 2008. The Westmeath senior hurling team has enjoyed much recent success winning the Christy Ring Cup in 2005, 2007 and 2010. Athlone Town F.C. have won the League of Ireland Championship in 1980 and 1982, and the FAI Cup in 1924. Westmeath Ladies team have won the 2011 All-Ireland Intermediate Football Championship. Athlone Institute of Technology boasts an €10 million international athletics arena which opened in early 2013. The International Arena has a footprint of 6,818m2 and an overall building floor area of 9,715m2. Some 850 tonnes of structural steel and 50,000 concrete blocks went into the construction of the facility which can house 2,000 spectators. Cecil Boyd-Rochfort - born at Middleton Park House,Castletown-Geoghegan, British thoroughbred racehorse trainer who was British flat racing Champion Trainer five times.